It’s not an exaggeration to say that your IT assets are the lifeblood of your organization. Unfortunately, companies are seeing more threats than ever before to their uptime, physical infrastructure, and data assets. And every second of downtime means money lost. Here’s what companies can expect to lose for every hour of downtime. 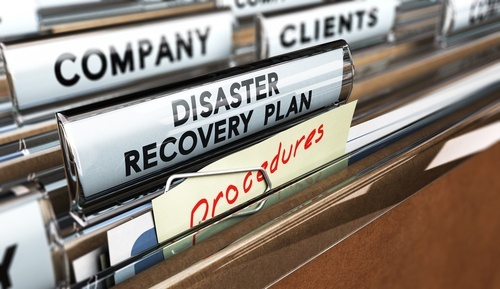 Despite the risks, only 30 percent of companies claim to have a documented disaster recovery plan in place. This is a problem. Your disaster recovery plan will be built in tandem with a managed service provider (MSP) who has the software needed for threat detection, data backup, and system restoration. Test your contingency plan and evaluate its performance under the guidance of your MSP. If you haven’t implemented a recovery plan until now, building a plan from the ground up may seem like a lot to get through. However, 96 percent of companies with a disaster recovery plan in place fully recover their operations when catastrophes occur. The process is straightforward: Document your most important assets, train your team to take action, and work with an MSP who can provide the software you need for regular backups and system restoration. This is the easiest way to keep your business safe, no matter what crises come your way.